For some people in the Bay Area, the guest of honor usually found on top of the Thanksgiving table has become a part of everyday life. 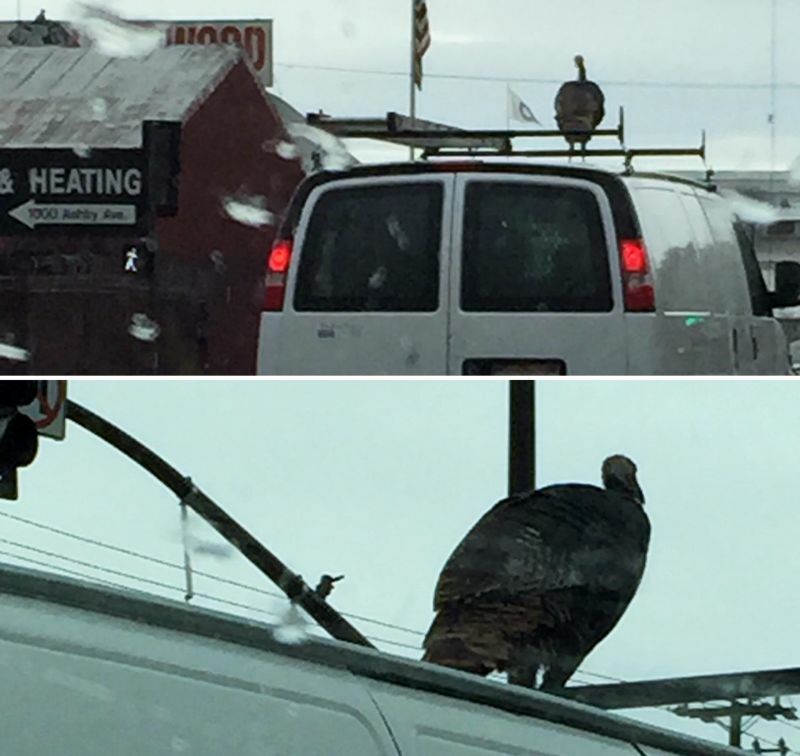 All you have to do is take a drive or walk through some of the more suburban and rural areas of the East Bay, and it might seem like wild turkeys are everywhere. Whether in local parks, on neighborhood front lawns or wandering in disorganized groups along local roads, sightings of the rustic, colorful big birds have become a part of the daily scenery for many around the Bay Area. 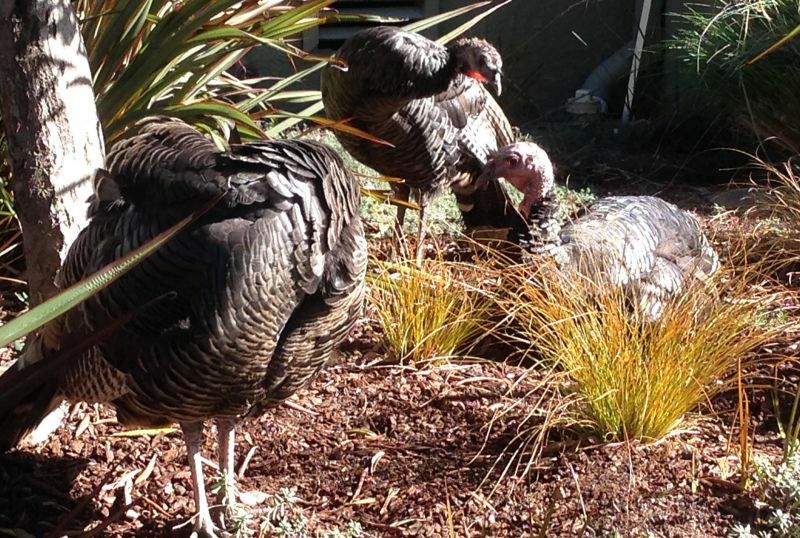 They're unwanted scenery for some, like Walnut Creek resident Niki DeSilva. An avid cyclist, DeSilva is less than nostalgic for the idyllic scenery of old when a gang of 30-pound birds with very little flying talent cross her bike path -- and stay there. She admits it. She hates these birds. Her voice trails off. But it doesn’t take too much imagination to guess what DeSilva may be thinking. She won’t do it. But she’s thinking it. “More because I don’t want to clean up their feathers or their dead carcasses off my bike wheels,” DeSilva admits with a smile. It’s a sentiment shared by others. Social boundaries are not part of the wild turkeys' basic priorities. So what’s going on here? Where did this wild bird come from and why is it on your front lawn? Wildlife biologist Joseph DiDonato has been in the Bay Area for more than 20 years. He says Meleagris gallopavo, better known as the California turkey, was actually invited here. Now places like the Lafayette Reservoir are filled with them. “They arrived probably around the year 2000. It was creating quite a stir,” recalls EBMUD park ranger Tom Brackett. He was at the East Bay reservoir when the first two arrived. But it doesn’t stop at the reservoir’s edge. DiDonato confirms what has become an obvious fact for many Bay area residents. These turkeys have actually moved into our habitat -- our neighborhoods, streets, parks and school grounds -- and love it. And as the population of wild turkeys continues to explode, solutions to reduce their number have been considered. But controlling the growth of these rambunctious, gobbling new neighbors isn’t as easy as it seems. DiDonato says the turkeys are always one step ahead of us. It’s a strategy to be admired. And the truth is, many have expressed nothing but love for the loud, slow-moving, 3-foot-tall birds with sharp talons. Others, like cyclist DeSilva, have another point of view.